Join us at the Universal Yoga Center which is at the Old Al Jolson Mansion right under Runyon Canyon in Hollywood. 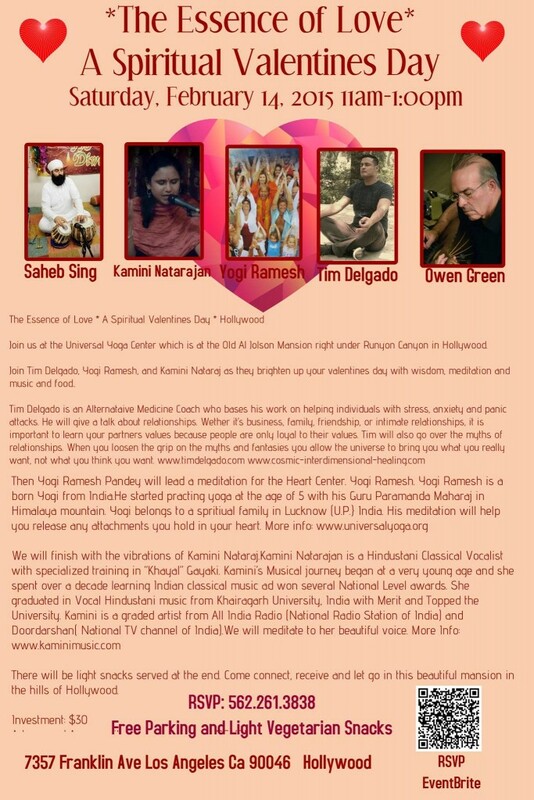 Join Tim Delgado, Yogi Ramesh, and Kamini Nataraj as they brighten up your valentines day with wisdom, meditation and music and food.. There will be light snacks served at the end. Come connect, receive and let go in this beautiful mansion in the hills of Hollywood. Adress and Access will be given once you RSVP!